Much like its little brother, the GP5 model, the new Griffin Armament GP7 direct-thread suppressor is a compact, lightweight, and durable unit in its class. With a plethora of silencers in the 7.62mm rifle market, this can stands apart from the pack with its large wrench flats for obtaining proper installation torque to secure accurate attachment. Plus, it comes pre-drilled with a .125” hole for pinning, which creates “one-stamp gun” possibilities. Wisconsin-based Griffin Armament began with two military brothers on a quest to preserve firearm enthusiasts’ hearing. By applying computer-based designs and highly-tested products to suppress guns of all calibers, this team is on the rise. 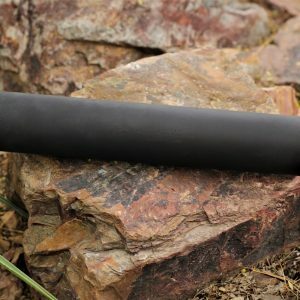 Their goal is commendable, as is their mission to pass along savings to suppressor users. 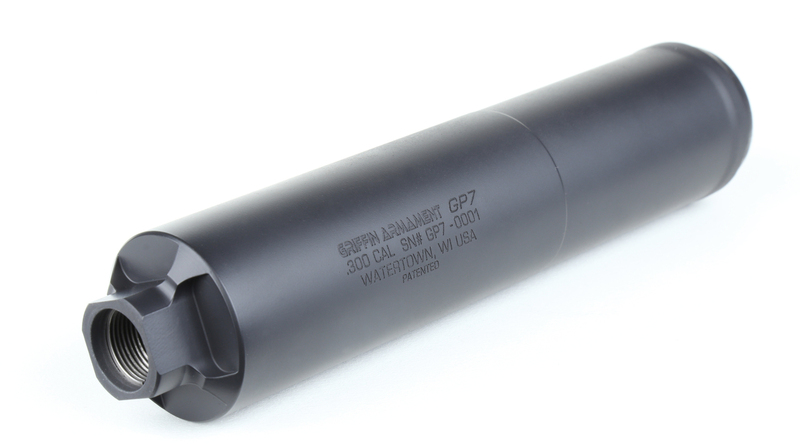 The effective and economical GP7 silencer continues this pursuit. Constructed of premium 17-4 stainless steel, the GP7 is a strong, durable suppressor. In addition, the GP7’s versatility is seen in its full-auto rating (up to .300 RUM), which gives users the ability to run this silencer on a variety of firearms. Moreover, its compact (7.23”) and lightweight (15.3 ounces) build brings maneuverability to the equation. The Griffin Armament GP7 unit checks all the boxes in the 7.62mm category… Get one for your preferred rifle!